Featuring a splice of Speedo's signature Boom print these Blue Mens jammers are perfect for swim training and club sessions! An internal drawstring waistband provides a secure, confident fit, allowing younger swimmers to enjoy the water in comfort. 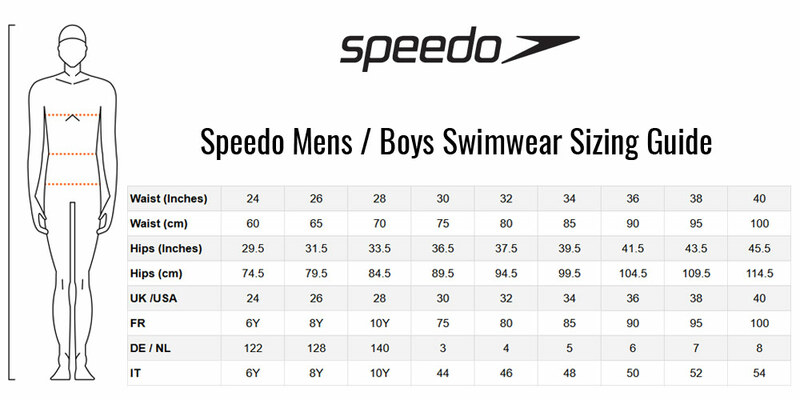 Made from Speedo's Endurance10 fabric which fits like new for longer plus CREORA HighClo fibres give a higher chlorine resistance than standard swimwear fabrics.